Saul Alinsky (1909 – 1972) is generally considered to be the founder of modern American community organizing. 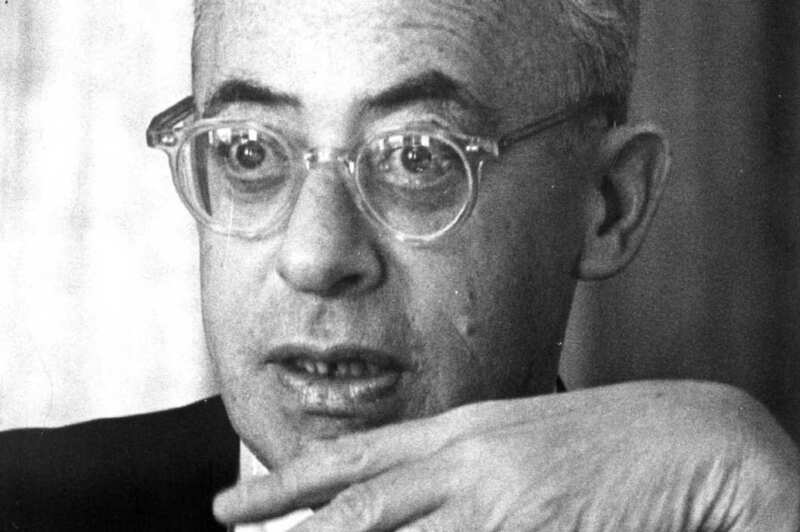 Alinsky focused on improving the living conditions of poor communities across America, especially the black ghettos — beginning with Chicago and later applying his methods to other cities. His ideas heavily influenced the 1960’s and 70’s anti-war, feminist, environmental, and social justice advocates and continue to be influential today with the rightist Tea Party movement, as well as the progressive anti-Trump resistance. Both Barack Obama and Hillary Clinton participated in the Chicago community movements that Alinsky inspired, and Clinton wrote her undergraduate thesis on him. Time magazine was prescient when it wrote in 1970 that “It is not too much to argue that American democracy is being altered by Alinsky’s ideas.” And even one of his staunchest critics, conservative author William F. Buckley Jr, said in 1966 that Alinsky was “very close to being an organizational genius”. Copyright 2017 Michael Simms. The author is indebted to the work of Josh Jones writing for Open Culture. Adolf Hitler was right. Boy, was he right. I used to feel a little silly calling people fascists, knowing it was mostly hyperbole. Ah, the good old days. Thank you for this. It is always a good reminder. For a number of years I’ve been trying to confirm that it was Alinski who said my favourite advocacy line. I really would like to give proper atribution. “When the government wants to reward people it values it uses the tax system, but when the government wants to reward people it doesn’t value it uses the welfare system.” In the disability world, it really says it all. This entry was posted on February 25, 2017 by Vox Populi in Note from the Editor, Opinion Leaders, Social Justice, War and Peace and tagged activism, community organizing, I'd organize Hell, Machiavelli, Michael Simms, Rules for Radicals, Saul Alinsky, Saul Alinsky's 13 strategies to take your community back from Trump, Saul Alinsky's Rules for Radicals.